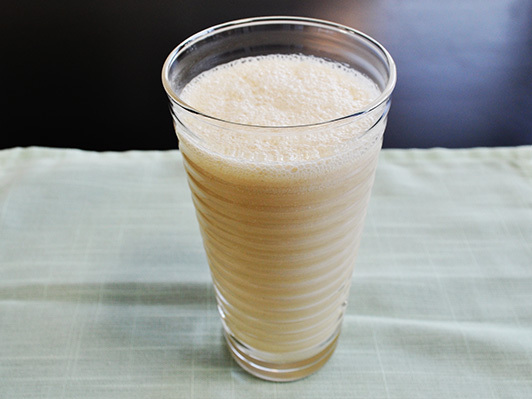 DHC protein is said to be the best protein shake in Japan. Why are people going bananas? 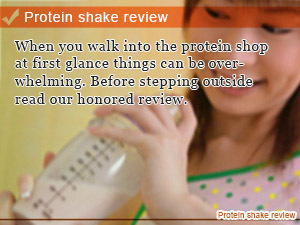 Learn why with our protein shake review and make things happen. You may have heard of DHC in the United States of A for their age defying work in skincare and reinvention of fine foods. 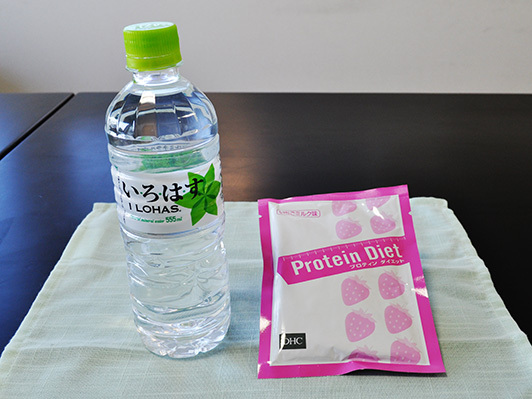 With breakthrough products like the DHC Protein Diet, What you may not know is the company is big on diet in Japan. That's why in this Slism, were are going to introduced the DHC Protein Diet with a protein shake review to help you keep your eyes out for the best protein shake to lose weight without putting on fat. Here is our review, Made in Japan just for you. I tried the DHC Protein Diet. 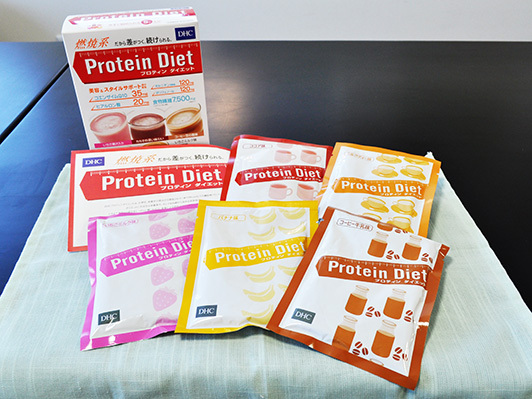 The DHC protein diet is a protein shake ranked high in the Rakuten Japanese health sector ratings. I purchased a set of protein diet shake to try various taste. Five flavors and description of the strawberry-flavored milk taste, the cocoa taste, the coffee-flavored milk taste, the banana taste, and the tea-with-milk taste were contained in inside the box. 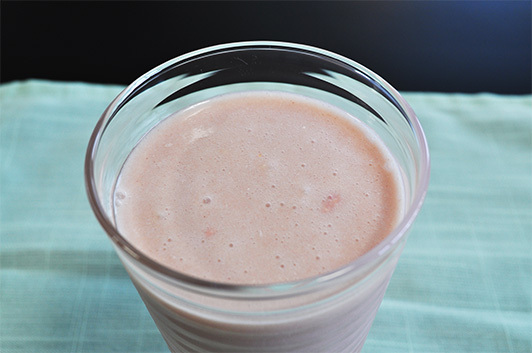 First, let's take a looked at how a strawberry-flavored milk protein diet shake tastes. Before that we have to mix it up. Read for detailed instructions. 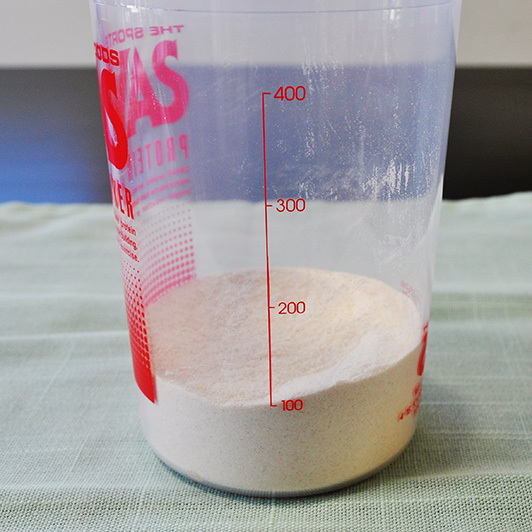 Add the contents of the pack containing 100cc strawberry-flavored milk flavor rough powder to a 350mL bottle of water. 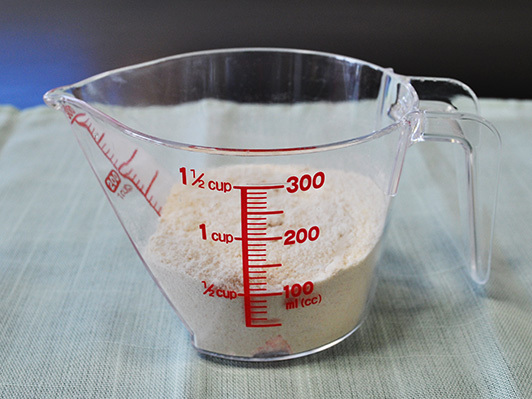 Note it may be desirable to displace some water (drink or spill) making room for the best protein shake mixture before mixing. With protein powder prepared already mixed in water and diet brewed up, I've noticed that a lot! People who needs dedicated shaker or who does not have, we recommend that you purchase a special shaker with Protein diet. So, I bought another shaker for use in my home. 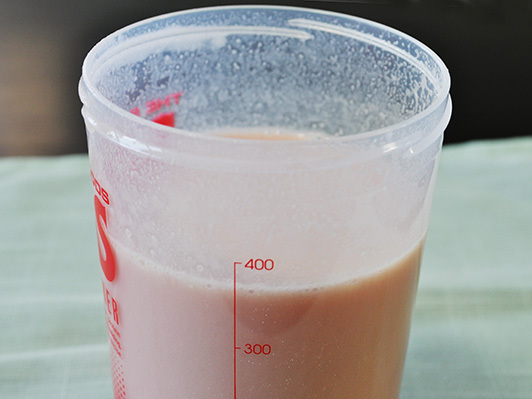 Although you can get the same result without the use of a dedicated shake, using a shaker makes a huge difference when trying to make a batch of 600mL glass after exercising. The appearance was slightly darker than I thought. Kind of makes me want a cup of strawberry milk right now. I tried my best to mix in the powder but nonetheless what remained where little chunks that I could deal with within a reasonable range. It was sweeter than I thought it was going to be. 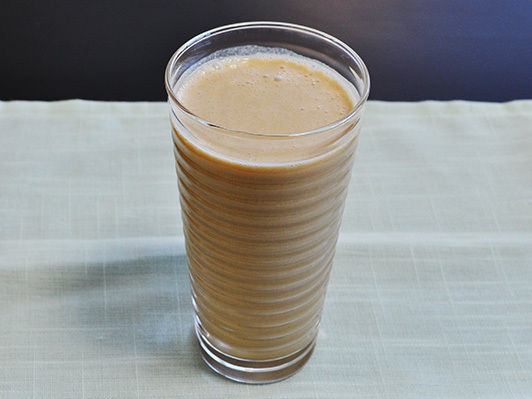 Unlike other protein shakes that often come with bad taste that some people have trouble drinking only one cup. Overall, I know others would agree that it has just the right amount of sweetness making it indistinguishable from the strawberry shakes you used to drink as a kid. The only place I failed was not being able to chug more it in one gulp. After drinking one cup I felt full enough to think that I didn't need to eat my next mull, which is safe to say that one cup is a bellyful. 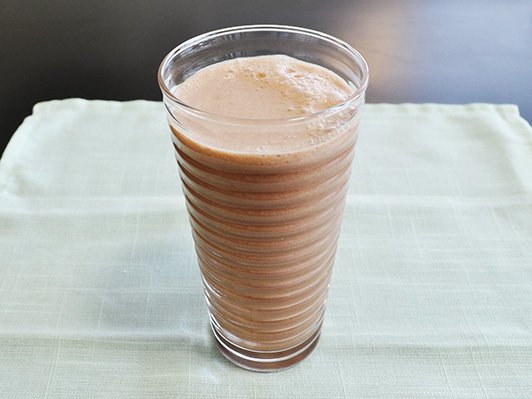 After drinking one cup of protein diet you don't have to worry about getting hungry for a while. The nutritional makeup of each drink changes slightly depending on the flavor. 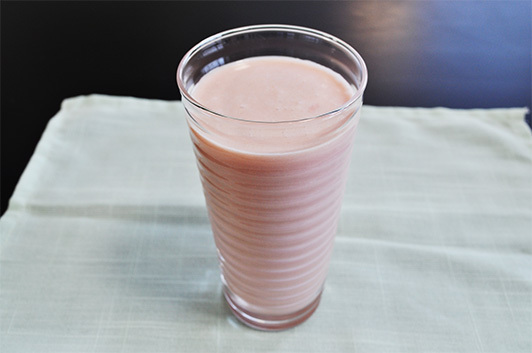 In particular the flavor just introduced, strawberry-flavored milk has 178 calories. If the food you eat is reduced to one 178Cal, your daily calorie intake is reduces considerably? This is one reason why you may consider taking up the replacement diet, replacing one meal with a healthy protein shake. Will Drinking The Protein Diet Make You Full?? One reason why people may steer away from weight loss methods such as the replacement diet is because of the fear of hunger. After drinking I was overcome with a sense of fullness as I thought "I wonder how long I can go without eating ..." and it turned out that I was able to carry on without thinking about my stomach until the next meal. It contains protein, and "It can satisfy your stomach with moisture", I was a little impressed. I think the sense of stomach full is very good. I think we have made with water, if made with milk or low-fat milk, the sense of stomach full will become even better. 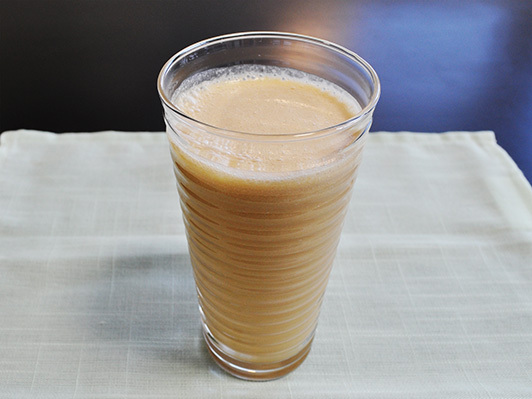 Besides, I think I made with low-fat milk and milk will become easy to drink. I loved cocoa. In fact it was the taste was looking forward to the most. When I was making I was expecting the smell of cocoa to "delicious", but contain ingredients like soy bean flavor was a little anxious and try to drink (Protein Diet because it is, it would be its flavor ...). There is no depth to the taste, a feeling of cocoa diluted with water. Sweetness is strong. Another type that I felt strong and sweet, there is a slightly bitter taste of coffee-flavored milk, might be good to people who do not like sweets (even to say ... and is still treacle). There is a view that says "not prefer of coffee milk ", I don't think it's so difficult to swallow. I feel like I watery little milk coffee are commercially available. I was shaking like crazy to improve the consistency, I was bubbling. Too nodded, but still ... bubbling. It was the image of a taste of Banana latte; I tend to drink banana taste slightly. Is it ... bananas? I think there is a slightly unnatural banana taste, without the grass beans, not too sweet too strong, and easy to drink. I might even feel it hard to swallow protein is bubbling. Put a few minutes that we have also subsided bubble, I think is a good idea to leave a few minutes in the refrigerator got foamy. Tea flavor is very strong. You get accustomed to while you are drinking, the flavor of tea as grass pea is worrisome. The author is drinking a commercially available milk tea well. ...That said, rather than a range unreasonable, drank all perfectly. Evaluation of such sense of stomach full taste and I think that each person, and it is represented by *... my personal evaluation. I do not in any way be said to "Delicious!" But, it is not that you do not drink. I think that it is low in calories, and taking into consideration the goodness of the sense of stomach full, the is taste unavoidable. In the end, I thought I taste milk tea, I thought I would dislike the most is the taste and easy to drink strawberry milk and banana flavor. Each person is a preference, I try various taste, at first, but may find the taste of their favorite too! The sense of stomach full is good. Though low-calorie, the sense of stomach full it is very good. Judging from what I was able to take advantage of the diet, but it is important to continue the ease, that you can create easy, the sense of stomach full is good, whether it is not easy to continue. I think, of course "taste impossible!" Absolute person named, and not continue, I think there is also a range of familiar, if "no I cannot drink," I think I will continue. I think if you take advantage of well-being skinny. But if you take advantage of, such as replacing two meals a sudden, I feel like I become a burden I will continue. I would recommend that you start with replacing one meal. You might replace one meal with my utmost to.... recommendation. The Aojiru green juice diet is no joke. This green drink gives you all the vitamins and minerals you need so you can throw away at taking vitamins and start drinking a cup a day. When you walk into the protein shop at first glance things can be overwhelming. Before stepping outside read our honored review. 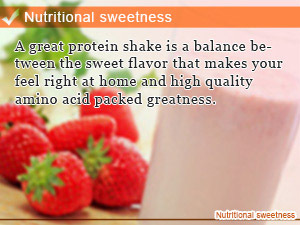 A great protein shake is a balance between the sweet flavor that makes your feel right at home and high quality amino acid packed greatness. Not all protein is created equal. 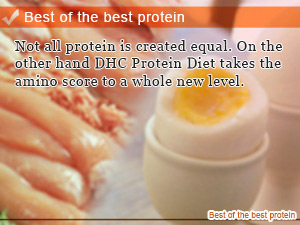 On the other hand DHC Protein Diet takes the amino score to a whole new level.